This is the fifth year for the International fireworks competition at Coney Island. Teams competing are from Greece, South Africa and the Phillipines. The grand finale presentation is provided by Rozzi`s Famous Fireworks. 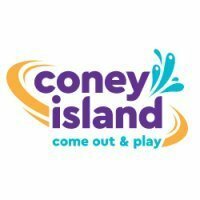 Gates open at 4pm, and Coney`s classic rides are in operation until the start of the fireworks. I will be working that day, so if you swing by and see me, be sure to say hi!